ZIMBABWE – Mazda Swaraj Limited India has entered into a strategic partnership with Mr T35 Private Ltd Zimbabwe in a deal that will see the company become a distributor of Mazda commercial vehicles in the country. The commercial vehicles include Mazda buses and trucks while the deal also entails the distribution of spare parts. 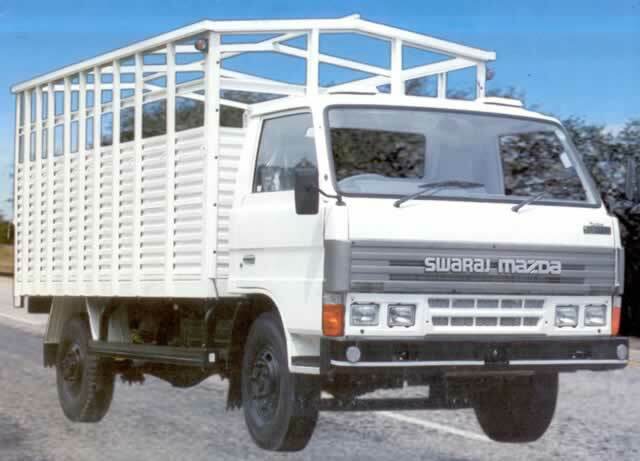 Mr T35 was selected after the Indian car manufacturer saw how the Zimbabwean company had shown commitment and sincerity to the Mazda brand by refurbishing and selling Mazda buses and T35 trucks. The selection was also based on the remarkable after sales service and support that Mr T35 offers on all Mazda models. Mr T35 general manager Mr Martin Beula said the first consignment of buses is expected in the country early February 2016. He said there has been a remarkable response from the market amid news that the dealership of the most durable brand of trucks and buses was being offered to a Zimbabwean company. “The most exciting part about this deal is that MR T35 will sell all the latest Mazda trucks and buses. Plans are also underway for MR T35 to build a vehicle assembly plant where knocked down kits will be assembled. “This deal is a welcome development to Zimbabwean folk who have been waiting tirelessly for transactions like these to happen,” said Mr Beula. He said employment opportunities for locals will be created and competitiveness of the market will be enhanced as more quality products will be readily available for consumers. Mr Beula said a local financial institution will be the financial guarantor of MR T35 and therefore product availability will never be an issue. Vehicle financing terms will be available making the product accessible on flexible terms. Among the Mazda vehicles on offer will be the Mazda T35 buses and mini buses, Mazda T35 trucks and Mazda 4×4 trucks. He said all spares for the models will be available as well as for the previous Mazda models. “Mazda Swaraj will offer training to all MR T35 personnel on all current and future models. The Mazda brand has proven to be a tough and durable brand, and in these tough times consumers are keen to invest in products with a long life span guarantee,” said Mr Beula. He said Mr T35 will bring in Mazda buses from the 31, 41 and 51-seater buses while trucks available on sale will be Mazda T35 trucks in the following specs: the 2,8 tonne, the four tonne, the 4,5 tone and the six tonne. Mr Beula said the T35 trucks also have 4×4 models which is ideal for rough terrain and in terms of after sales Mr T35 will bring in spare parts for all the new models and have a service centre where all Mazda commercial vehicles will be serviced. “The Mazda brand of vehicles is a brand which is well known in the Zimbabwean market and from our experience there is a high demand of the Mazda commercial vehicles because of their durability and affordability. We are optimistic that people will purchase Mazda vehicles and we will get a significant market share in the light commercial vehicles sector,” he said. Mr T35 is a one-stop-shop for the Mazda T350 vehicles where they offer warranty on their vehicle and proper maintenance and support. MR T35 Private Limited is a Zimbabwean owned company situated in Ardbennie which specialises in remodelling the Mazda T350 trucks, buses and the after sales service.